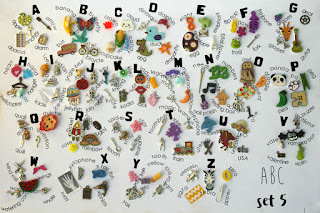 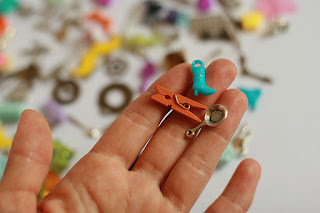 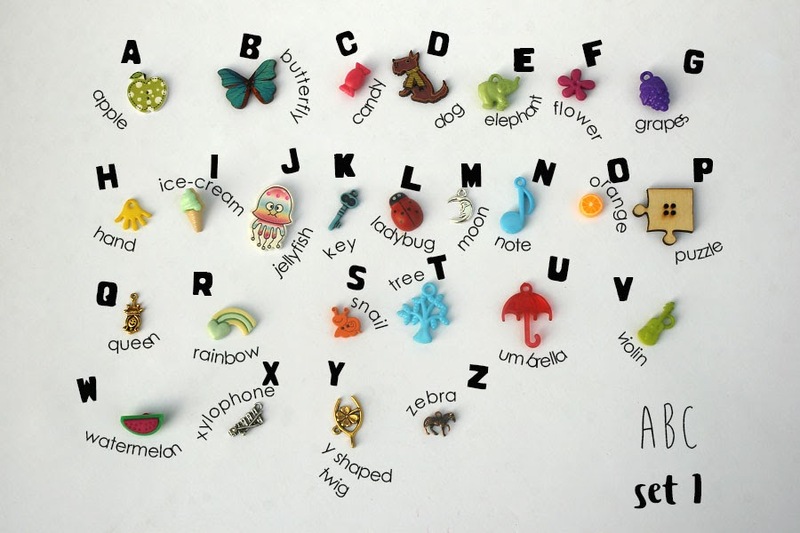 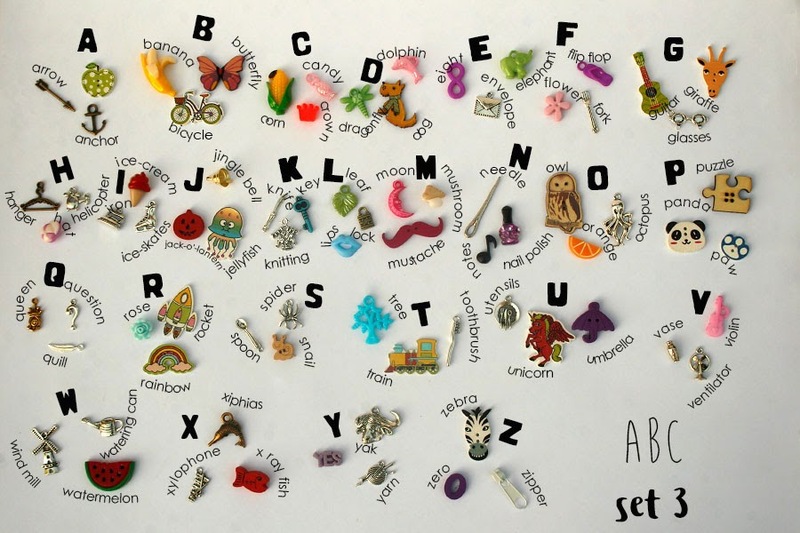 ABC letters and matching objects for I Spy Bag and other educational toys or crafts. 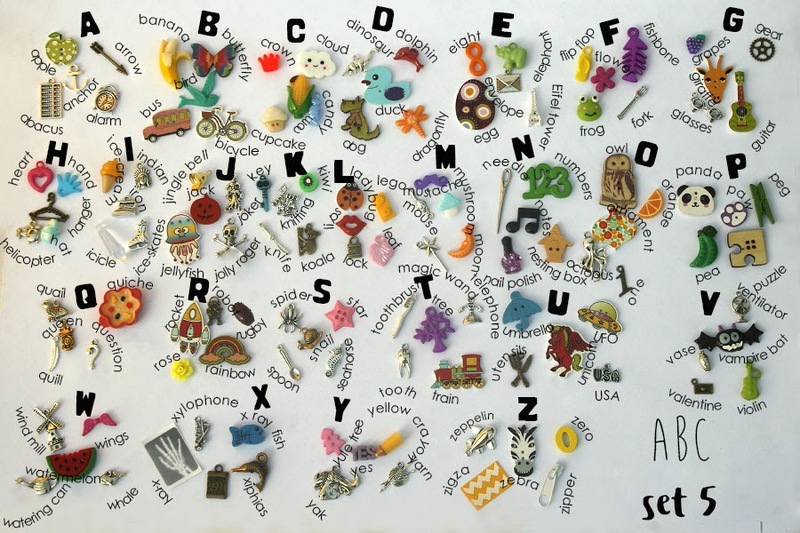 The trinkets are charms, beads, buttons, miniatures, cabochons, etc. made of metal, plastic and wood (except of x-ray print) Color and design of some objects may vary from pictured.